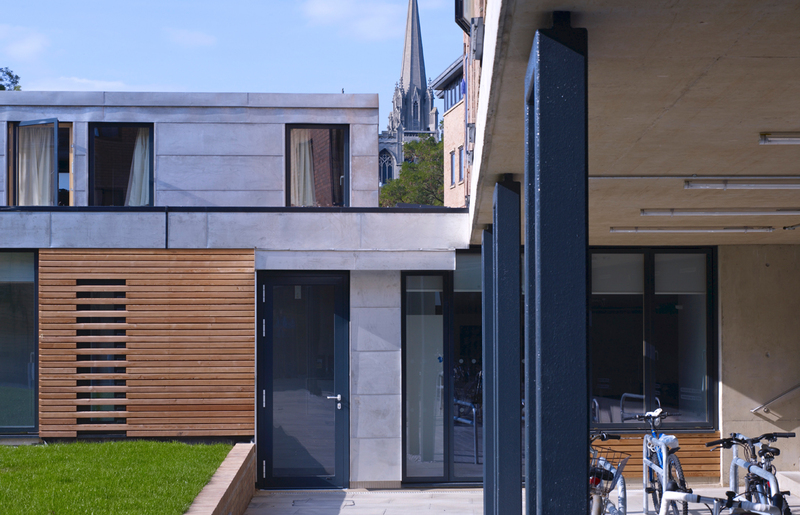 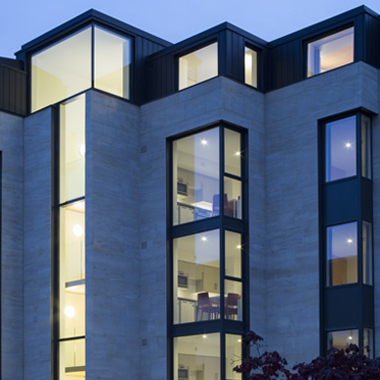 New student accommodation for St Catharine’s College, University of Cambridge. 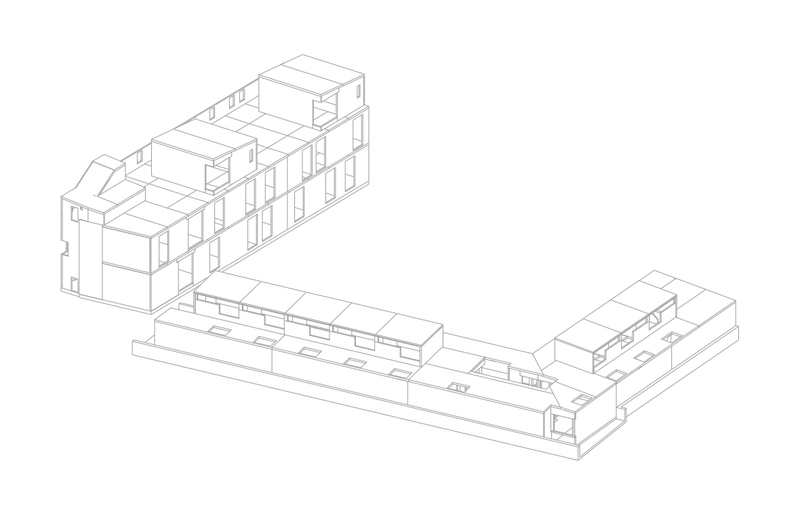 Provision of twenty graduate rooms and two fellows’ flats over 2-3 floors. 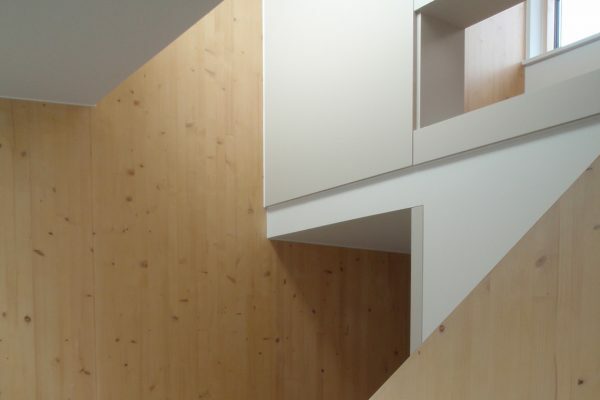 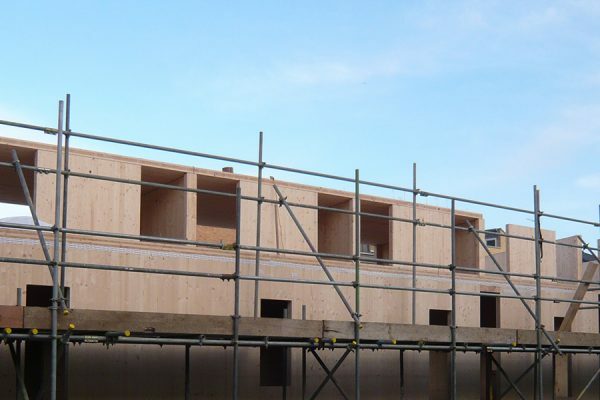 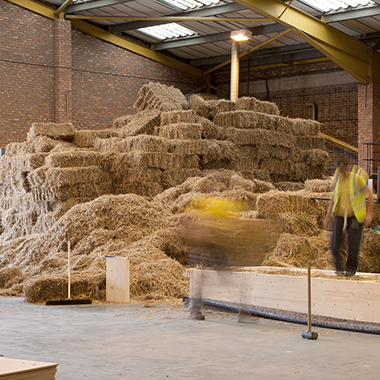 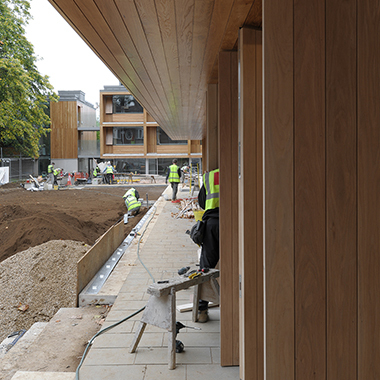 Built during term time, the speed of erection and relatively quiet installation of cross-laminated timber (compared with traditional build) was a significant benefit to both the client and the architect.